The sun is in Virgo from August 22nd to September 22nd. If your sun sign is not Virgo, these stones are still useful. The zodiac energy of each sign surrounds all of us based on the time of the year. The energies of Virgo are at work now. The Virgo energy is analytical, orderly and sometimes critical. But the critiques come from a good place: Virgos just want everything to be perfect and they believe their vision is perfect. Virgos want everything to be just so. Their grand purpose in life is to make everything perfect. But they are often conflicted. Their outer appearance doesn't always match the inside. They put forth a face that says everything is fine but inside their heads is turmoil once they realize the world is not a perfect place. It's challenging to have a desperate need to create order out of the general chaos of life. If you have a problem, take it to a Virgo and they will solve it for you. The Virgo energy is so wrapped up in the details of perfection, other things become lost. Amazonite is a stone for balance and should be used to help balance all the aspects of a life. Amethyst is the perfect stone for both grounding and spiritual work. Virgos need help getting in touch with their emotions and learning how they deal with people. Chrysocolla is a calming stone that can be beneficial when the Virgo energy winds you up in perfection. Take a deep breath and hold a Chrysocolla stone to soothe the anxiety when things don't go according to plan. Green Aventurine is another stone for cooling down. The witty and clever Virgo energy is constant, but it's okay to take a break from all that thinking. Howlite is another stone for spiritual connection and awareness as well as calming. It also aids in expressing oneself creatively and releasing what's holding you back this time of year: perfectionism. Mookaite Jasper is a gentle grounding stone that helps enhance you intuition. It's a good grounding stone to use with the Virgo energy. Moss Agate is all about creating a new beginning and creating something wonderful. This is also what Virgo wants to do. Virgo energy wants to make something the best it can be or better..
Tree Agate removes blockages that keep you from expressing yourself accurately. This healing and calming stone aids a Virgo when unwinding. No one ever accused a Virgo of being too passionate. Carnelian gives a boost of creativity and vitality to balance out the laser focus of Virgo energy. Sapphire has the energy of love, especially spiritual love. Virgos spend a lot of time in their heads working out details. They could benefit from a little insight. Snowflake Obsidian is another gentle grounding stone. Everyone could benefit from grounding but Virgos are already pretty down to earth, so they only need a gentle nudge. Snowflake Obsidian can also help Virgos get in touch with their emotion. Sugilite can help balance the conflict between the inner and outer reality Virgos face. It's another stone for spiritual love or tenderness. Virgos need help with the abstract because they are so in the moment and precision. 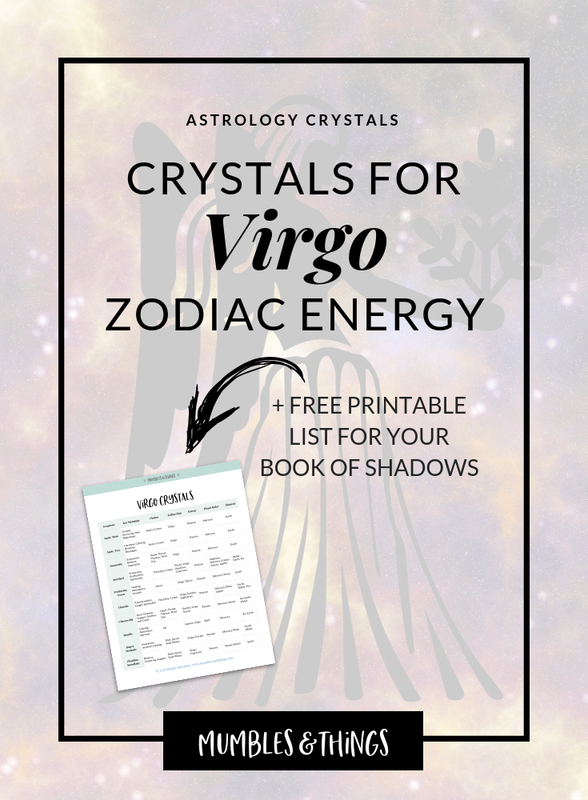 Want my list of Virgo crystals? Click the button below to request your list to be sent to your inbox. 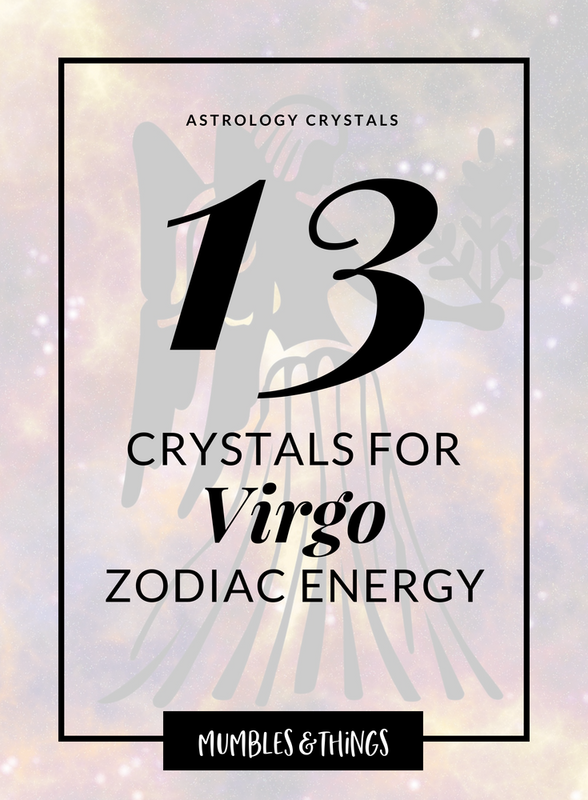 This list includes the top 10 crystals associated with the zodiac sign Virgo, plus, the three key uses, primary chakras, polar energy, planetary ruler and element correspondence.